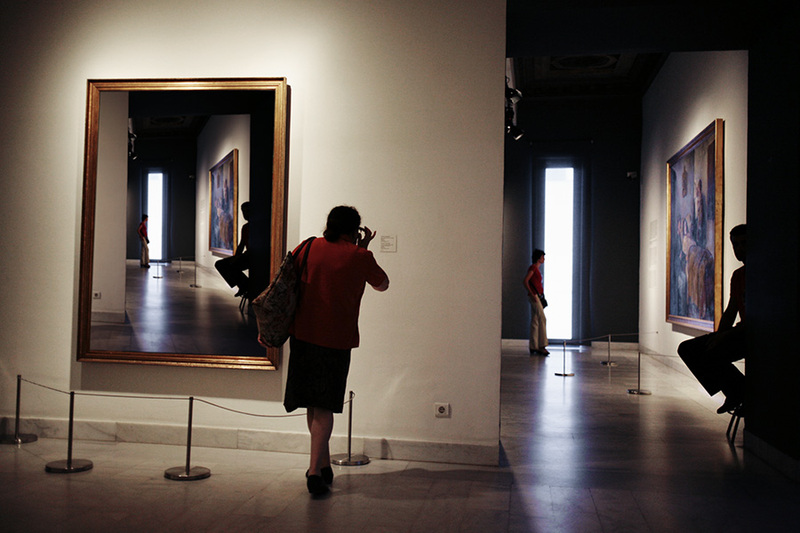 The Picasso museum of Barcelona was one of the first museums I had the opportunity to photograph with the complicity of the institution. At that time (2011) the director of the museum was Pepe Serra. Several years earlier (2003), I had worked on a commissioned project (by Gao Lletres) called "La Pedrera as seen by... a biologist” . By then Pepe Serra was heading the cultural activities of the Casa Milà through the Territory and Landscape Foundation of Caixa Catalunya. Thanks to my work (he remembered it) and his natural enthusiasm he welcomed me in the museum, and I could take pictures periodically for a couple of months. Soon, Serra was appointed director of the Museu Nacional d'Art de Catalunya (MNAC) and a new director got his place in The Picasso. 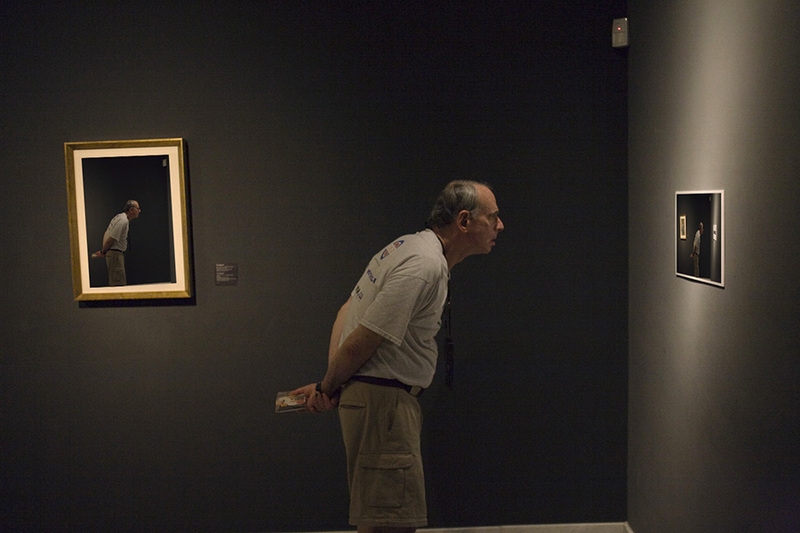 This one was not so interested in my proposal of documenting how we look at artworks and the photographic series was stopped. In fact, the images have not been shown publicly since the paintings of the Spanish genius are protected by copyright. 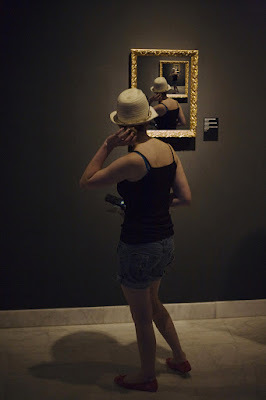 Given that what matters in my pictures is the individual looking and not so much the art piece, it seemed to me appropriate to intervene the photographs in order to address the concept of copyright. Here I introduce you two different series. Both are the result of the impossibility to show Picasso's paintings. 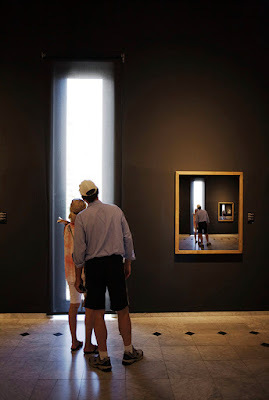 One is called Mirrors, and it refers to the self-referential relationship that we, as observers, have with an artwork that has been created to discuss about who observes (see also this other post Contemplatio Photographic installation). The second is called Only some pixels left. This series reflects how the limitations of Copyright in the art world can lead to new forms of visual expression. 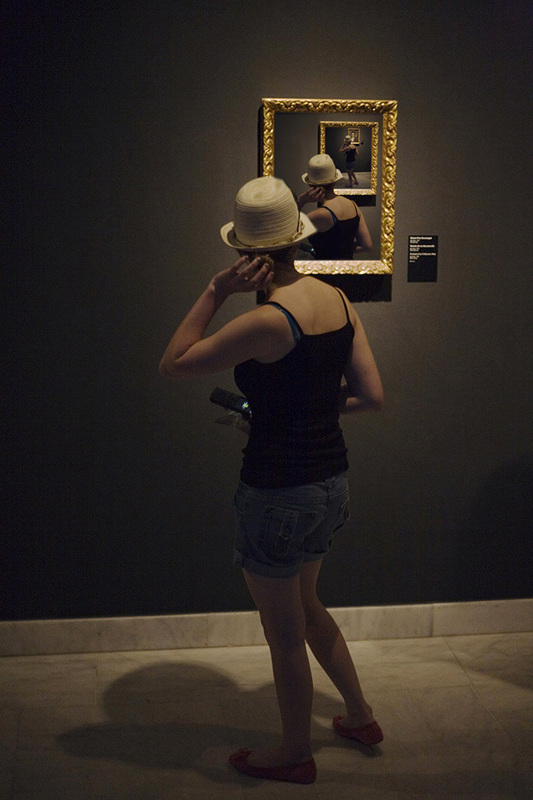 El museo Picasso de Barcelona fue uno de los primeros museos que tuve la oportunidad de fotografiar con la complicidad de la institución. 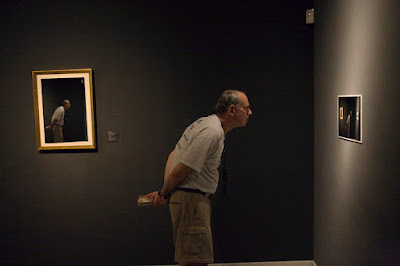 En aquel entonces (2011) Pepe Serra era el director del museo. Por casualidad varios años antes (2003) Gao Lletres me encargargó un proyecto llamado “La Pedrera vista por… un biólogo”. Pepe Serra era entonces quien dirigía las actividades culturales de la Casa Milà a través de la Fundació Territori i Paisatge de Caixa Catalunya. 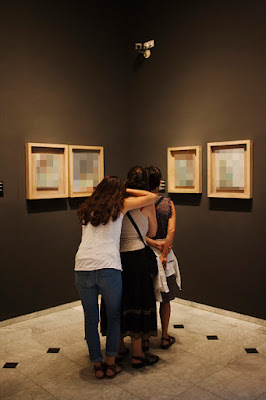 Gracias a que recordaba mi trabajo y a su entusiasmo natural me abrió las puertas del museo, y pude hacer fotos periódicamente durante un par de meses. Al poco tiempo, Serra era nombrado director del Museu Nacional d'Art de Catalunya (MNAC) y le sucedía el actual director. A éste no le interesó tanto mi propuesta de documentar a quienes miran obras de arte y la serie fotográfica quedó parada. De hecho, las imágenes no se han mostrado públicamente debido que las pinturas del genio malagueño estan protegidas por derechos de autor. Pues bien, como en mis fotografías lo importante es la persona que mira y no tanto la obra, me ha parecido oportuno intervenir las fotografías con el objetivo de abordar el concepto de derechos de autor o copyright.